Whether you’re looking for a fun themed cake for a birthday celebration or an elegantly tiered concoction for a wedding, the cake shops of Oklahoma are happy to serve you the best. These cakes are served up extravagantly at the many excellent shops of Oklahoma. 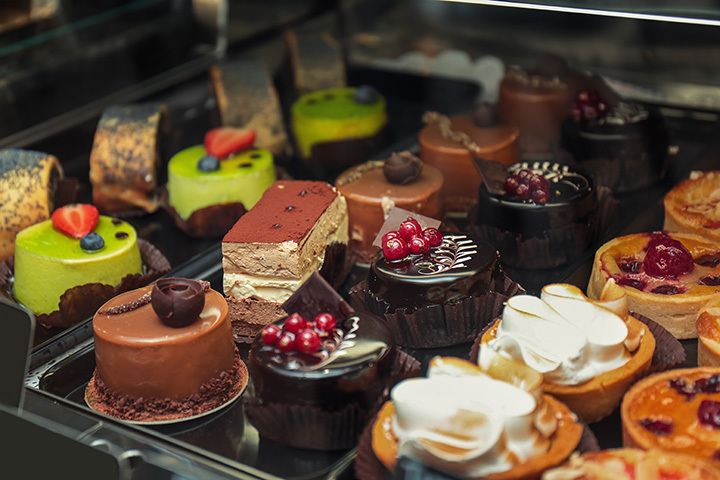 No matter what you’re looking for or what event you’re planning, you’ll find something perfect at these 10 cake shops in Oklahoma! Johnson’s Bakery has been baking for Lawton residents for over 75 years. With that kind of heritage, you know they have to be great. If you need a cake for a special celebration, they can hook you up, but if you just want one serving, try one of their specialty cupcakes! La Baguette opened its doors in 1984, offering delectable French pastries and sweets. You can order a custom cake in just about any shape you want for any type of occasion and know that the cake will look great and taste wonderful. Every cake made by the Cake Diva is made fresh for your party. Her cakes are delicious. She has years of experience in making cakes of every theme. Oklahoma City has many wonderful bakeries, and for weddings, Rosebeary’s is one of the best. It has a five-star average review on Facebook and Google. You can find a cake for any type of party or just pick up a cupcake for a special treat. Stacie’s Cake is a great place to find custom cakes for every party. The bakery has a list of popular classic flavors and frostings to create the flavor you want, but will work to make the cake of your dreams happen. Although Ludger’s didn’t officially open until 1991, the owner got his start in 1964 in Germany. The Bavarian cream cheesecake is what made Ludger’s famous, but the bakery has a lot of different flavor combinations. At Antoinette’s you can find daily options of pie, cake and macaroons, and they also do catering for special events. The flavor list is extensive, which special flavors like chai, blueberry lavender and pumpkin spice cakes. Sulphur is becoming a nice resort town, and this bakery has excellent cakes and cookies. You can find a cake for your wedding or just pick up a cupcake for an after-dinner treat. Cake Crazy, LLC was featured on the Food Network in 2014 and has been voted “Best in Stillwater” for desserts. Cakes and cupcakes are made fresh from scratch. Order a cake pop, cake bite or cake push pop if you’re looking for just one slice of cake. You’ll never forget your first cake from Ingrid’s, because it’s moist, rich and full of flavor. Order a custom cake for any occasion, or just pick one up from the bakery to share with friends and family.